Kelly's Korner: Lately and DOT MOM GIVEAWAY!!!! Lately and DOT MOM GIVEAWAY!!!! We are having an eventful week. Tuesday was Scott's first day at his new job. We are getting back into the rhythm of fall now. Tuesday was also our first day back at Bible Study at church. My favorite thing at church is women's ministry and it's really my passion. I love serving in this. I look forward to Tuesday mornings every single week. I'm doing a study by James MacDonald and I can already tell it's going to be amazing. I also love that I'm in a small group of about 30 women from about age 25 - 75. I adore being with women of all ages and all stages of life. And the girls LOVE going to church and being with their friends so it's just a win win. My sweet girls. 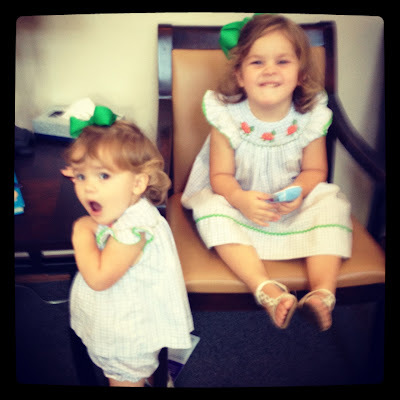 I have been told a lot lately about how sweet Harper is to Hollis when they see each other at "school". Harper really is SO sweet. 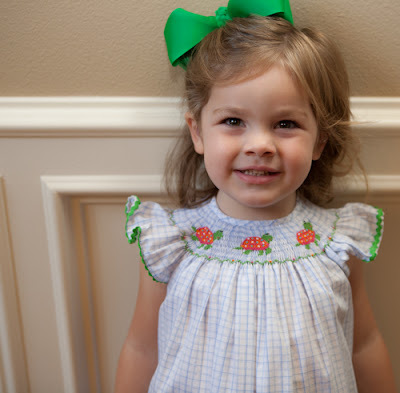 She will go in Hollis' class with her and find her a toy she will like and say things like "It's okay sweetie. You are going to have a good day". She always calls her sweetie and I think it's both precious and hilarious. My mom had foot surgery on Tuesday about 30 minutes away so the girls and I went to be there. We waited for about an hour (they were behind on her surgery) and were texting my dad who was with my mom in pre-op. We went through our last diaper and had no snacks so we left and made a quick trip to Target and came back and waited about 30 more minutes before my dad finally called and said I was in the wrong place. ha! They were in a different building next door. So we loaded up and went and waited with my dad. The girls were actually pretty good. My mom's surgery went great but she can't do anything or drive for 6 weeks and that will pretty much drive her nuts. ha! Hollis wants to be SO big like her sister. 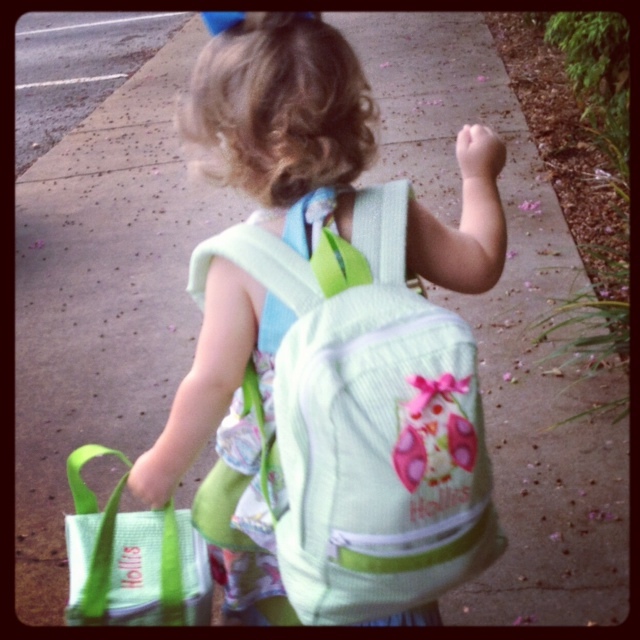 She insisted on wearing her backpack and walking into school today. She is getting so big. She is such a parrot. She mimics every word we say these days. Time is going by too fast. Okay...........on to an important and exciting announcement!!! There are breakout sessions on everything from couponing to infertility to adoption to Encouraging your husband to special needs parenting to homeschooling to eating healthy. I'm pretty sure if you are a mom - you can find a topic that interests you. Or if you are not a mom - that doesn't matter - come too!!! And did I mention Boomama and Bigmama are the hosts? Can you think of anything more hilarious than the two of them? Trust me - you can't. And I might be going!! Okay..... I AM going!! I'm so excited! So - here is the great part - I get to give away two tickets to one lucky winner. You can come and bring a friend! Leave me a comment and let me know you want to go. I will draw a winner on Friday! Dot Mom is Sept 21-22 in Birmingham - and if you aren't going ........and it's at ALL possible - you need to!!!! !